Media Room – Taming the Cyber Dragon? The Post rightly notes that China is stealing us blind — intellectual property and national security secrets are being exfiltrated through cyberspace on an industrial scale. And though China denies any responsibility, its denials are the barest fig leaf of an effort. As the Post says, there is growing evidence that China is behind one of the largest heists in history. And something must be done. But what? Here the Post opinion becomes, well, a bit risible. Their recommendations? Wait for it …. “speak more firmly to China’s leadership about the problem, perhaps threatening to deny visas or expel those found to be involved in economic espionage.” Of course, since those involved in the espionage aren’t here in the first place — they operate from China — the threat of expulsion is an empty one. And I’m sure that speaking firmly to China will cause them to change their ways …. not! As for denying visas to, say, students and tourists — that punishes our own domestic industries with little harm to the Chinese government. To be fair, the Post does say that as a further step an “offensive cyber-assault to preemptively disarm adversaries” might be necessary. But now we’ve leaped from “speaking firmly” to cyber war. If we have any sense at all, we’ll find a middle ground — some kind of espionage-based response that causes equivalent pain to Chinese interests and that might get their attention. Here’s one possibility I recently heard discussed the gives you a flavor: Since China is interested in maintaining the status quo and uses the Great Firewall to keep destabilizing information out of the hands of its citizens, might we not promote internet freedom and dissuade Chinese intellectual theft by initiating a program to poke holes in the firewall? Provocative to be sure — but far more likely to get their attention than speaking firmly and a lot less escalatory than cyber assaults. If we aren’t thinking about responses in this general vein, we should be. 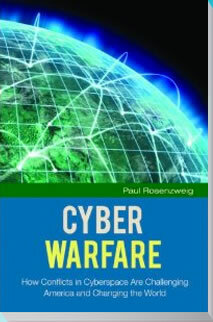 Paul Rosenzweig is the founder of Red Branch Consulting PLLC, a homeland security consulting company and a Senior Advisor to The Chertoff Group. 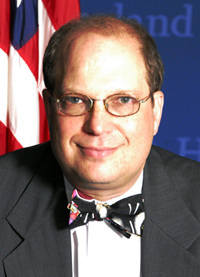 Mr. Rosenzweig formerly served as Deputy Assistant Secretary for Policy in the Department of Homeland Security. He is a Distinguished Visiting Fellow at the Homeland Security Studies and Analysis Institute. He also serves as a Professorial Lecturer in Law at George Washington University, a Senior Editor of the Journal of National Security Law & Policy, and as a Visiting Fellow at The Heritage Foundation.